In Part 1 of “7 Questions with Joyce Wilson,” I learned how Joyce discovered the shooting sports and later found herself at the helm of IDPA. 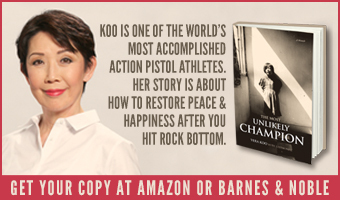 Driven by a desire to be able to protect herself, Joyce’s interest in firearms evolved into having fun on the range. There’s so much more to this ladies national champion – raising cattle, dreams of flying to Alaska and a little embroidery on the side. Let’s pick up where we left off. Julie G is sponsored by Smith & Wesson. JG: Joyce, you went from shooting your first match to running a national championship in just six years! I think it speaks volumes of your natural leadership and as a result IDPA has seen huge growth during the past couple of years. One thing I admire about you is that you listen and take things in, yet you aren’t afraid to make a decision when needed. Do you think that as a woman in a primarily male-dominated sport has been key in developing your leadership style, and what is your greatest challenge as a leader? JW: I really believe that we’re guided on our path in life for a reason and that life teaches us the lessons that we’re meant to learn. Being the audiologist at the steel mill, I was one of only 500 or so women in a company of 8,000, and so I was comfortable being in male-dominated environments. Coming into the firearms industry didn’t feel much different. The biggest challenge for me was to change my mindset from thinking like an employee to thinking like an employer. I really didn’t have any experience running a business per se. I ran my department, but I still had a boss I reported to frequently. With IDPA, in the first few years, Bill was still very much involved so I kind of had a boss. Gradually, I assumed more responsibility and he’s been pretty much hands-off. Another significant challenge was to develop a leadership style. I’m still working on that. One of the things that is most important to me is to treat my employees like I wanted to be treated as an employee. I’m not afraid to admit that there are lots of things that I don’t know. That’s why it was really important for me to solicit devise a plan using the Tiger Team concept when we re-wrote the IDPA rulebook. We will continue to use member input into the sport. JG: I admire the dedication to listening to the membership. I think that is so important for the shooting sports. Let’s talk about the female demographic a bit. I truly believe that women are the key to preserving our Second Amendment. As someone who is passionate about sharing the shooting sports, how do we get more women to the range? JW: I believe that you are right; women are our key to preserving our Second Amendment. It can be very difficult to pull women out of their comfort zones to try something that has always been perceived as a male sport or hobby. I think that organizations like A Girl & A Gun and The Well Armed Woman, along with all of the new female run businesses related to women’s concealed carry, are doing a wonderful job introducing women to firearms. We also are taking steps in IDPA. In the recent rulebook revision, we now allow for specialty matches like “women only” sanctioned matches. I think that one of the beauties of our sport is the friendliness towards women. We’re hoping to work more closely with some of these “women only” organizations to see how we can help them in getting more women introduced to competition. I think that once they try it, they will be hooked just like I was. JW: I guess I never really thought of myself as a daredevil. I’ve been blessedly spoiled by my wonderful husband who has made my crazy passions become realities. I guess I really am a little of an adrenaline junky or thrill seeker. I just love to be outside and I like to do things that are challenging. Like shooting, I fell in love with hunting. After that first concealed carry class, I took a hunter safety class. I had never really thought about hunting before then. I took my first deer that following year. It was an old buck that was past his prime. He would have been a 6-point, but was broken on one side. I was hooked but it wasn’t until a few years later that I learned what hunting was really about. Now it’s an important part of my life. Believe it or not, I do have some “calmer” hobbies. I have an embroidery sewing machine so that I can digitize logos to put on clothing or whatever. I only do the embroidery stuff in the winter when it’s not so nice outside. I also have cows, about 150 momma cows right now and 7 Watusi cows, which are an African breed with really big horns. JG: You have such diverse interests and that’s something I think so many women can relate to. If you could spend a day with any woman in any era, who would it be, why and what would you do? JW: This is a tough question! Much to Bill’s chagrin, I’m not a history person so I’ve never studied any famous women from the past. There are lots of women I’d like to spend a day or just some time with. I just really like to learn so I’d love to spend a day with you learning more about shooting or especially cooking! I so love to see all your really neat dishes with venison. Cooking is definitely not one of my strong points. JG: You flatter me. You’re welcome to shoot and cook with me anytime! One last question before I let you go. As someone who has accomplished so much, what else is on your to-do list? JW: I have a few more things on the old bucket list. I really want to see IDPA grow to its full potential. Although we’re doing well, I think we have yet to really tap the potential for membership. There are so many new shooters out there who would really benefit from all that can be learned from IDPA. As a pilot, I want to fly my own plane to Alaska. That is every pilot’s dream. It’s somewhat challenging to fly up over Canada. Then there’s hunting. There are a couple animals I still want to hunt. Moose and lion are the top of the list there. There may even be a new hobby or two that I don’t even know about yet. It’s clear Joyce enjoys adventure. 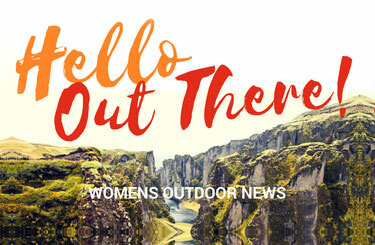 She’s an inspiring example of living a life without fear as she shares her passion for the outdoors and the shooting sports with so many people. I am so glad I had the chance to learn more about this remarkable woman, one who shows us that life is about learning new skills and running with them, or in her case, flying. Great interview of a great lady!